Pokémon Go fever has struck and just about everybody is running about trying to catch them all! 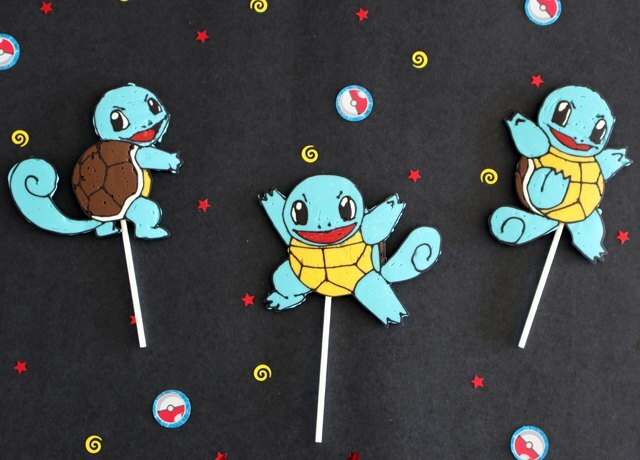 But you won't have to break a sweat trying to catch these adorable Squirtle lollipops -- they're super easy to make. 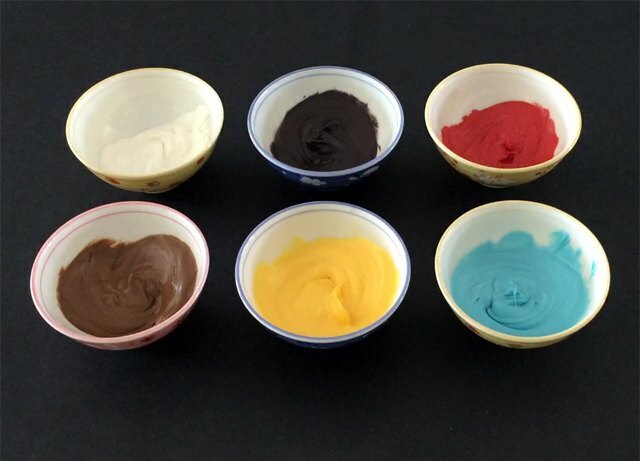 Place a handful of each candy melt color into small microwave-safe bowls. Microwave on high for 30 seconds and stir. Continue to melt at 10 second intervals until all of the candy has completely melted. 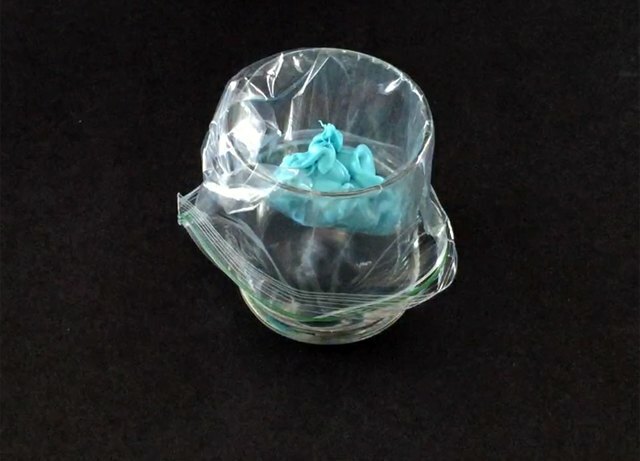 Set a sandwich bag inside a small cup and pour one color of melted candy into the bag. Use a small spoon to help scoop the candy into the bag. Repeat with remaining colors. Remove the bag from the cup and twist it closed. Use a rubber band to secure the end. 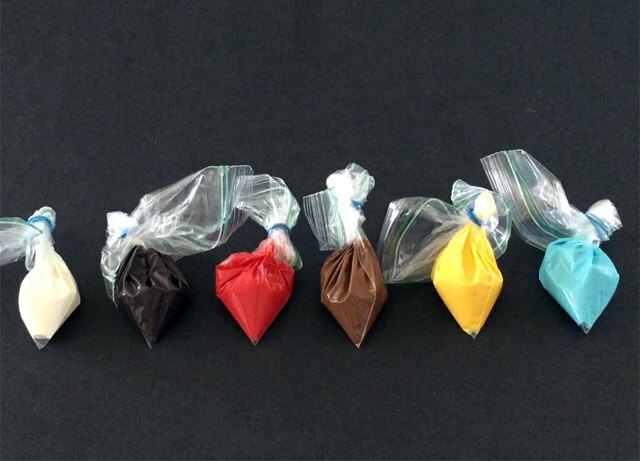 Repeat with remaining colors of candy melts. 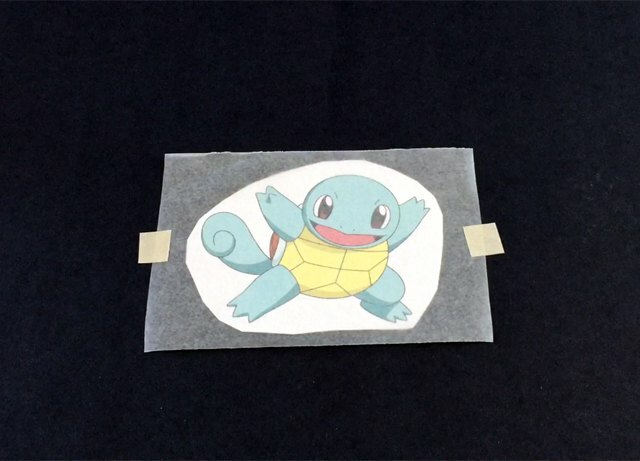 Print a Squirtle image. Trim the excess and set the image on a flat work surface. Place a piece of wax paper just slightly larger than the image on top. 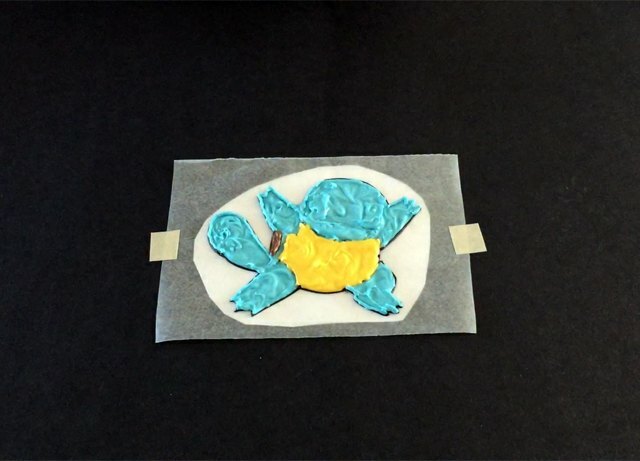 Use a couple of pieces of tape to secure the wax paper to the surface. Take the black candy melts bag and cut a small hole at the tip. 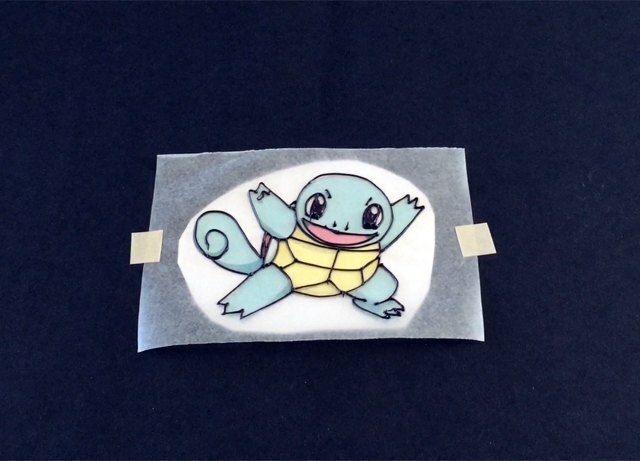 Outline and fill the black parts of the Squirtle and let it set for a minute. Use the rest of the colors to fill in the character's face and body over the black. To soften your hardened candy melt bag, place it in a cup with the tip facing up and microwave it on high for 10 seconds. Massage the bag gently and repeat until the candy has melted again. 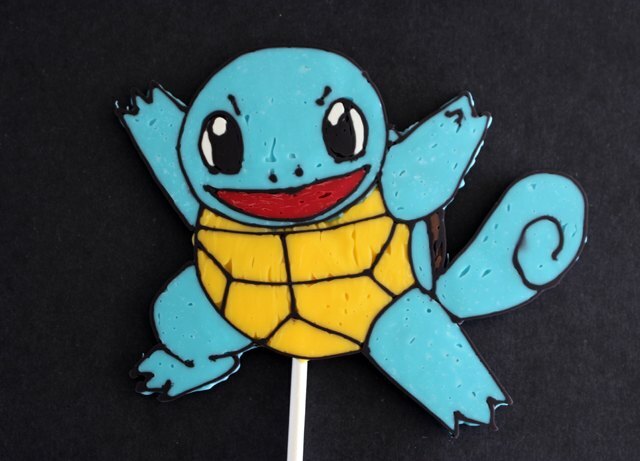 While the candy melts are still tacky on the Squirtle, place a lollipop stick at its center. Cover the stick with more candy melts and let the entire image set up on the counter for 30 minutes to an hour. 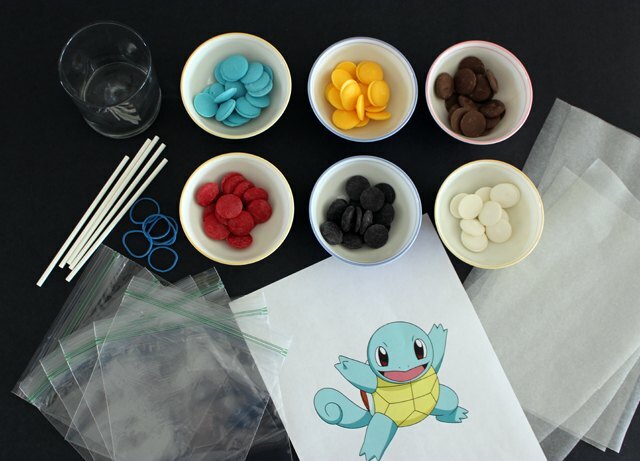 Alternatively, place the Squirtle in the refrigerator to set up faster, about 10 minutes. 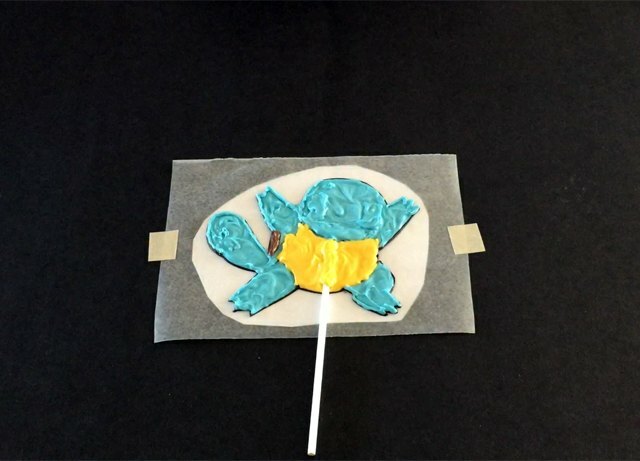 Make several Squirtle lollipops to share with friends on your next hunt for those crafty little Pokémon.